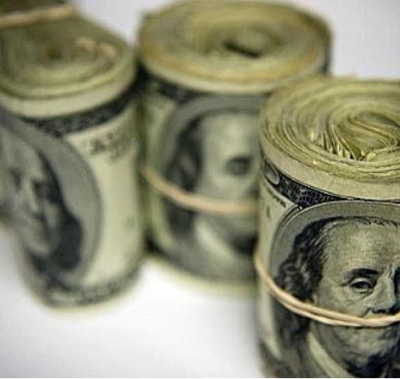 If you live in USA then you are probably inundated with the new ethos to be your own boss. You're a sucka if you work for someone else, right? You may have heard that the only way you'll be truly happy in your professional career or truly become wealthy is by working for yourself. Quitting your day job and starting your own business is the new black. You're so not en vogue if you're still a corporate pigeon or working for "the man". But I advise people to be mindful of what lenses they put in front of their eyes. Entrepreneurship is not for the laid back or the follower, it's for visionaries and leaders and it's work, especially so when you are first starting your foundation and securing business and profits. Sometimes it's not steady like your paycheck every 2 weeks is. Do you have savings, systems and budgets in place to navigate this for the win until your business can afford you a stable salary? This way of earning is for the fearless and dedicated. I know it's cliche but it's not for everyone. Peanut butter isn't for everyone. Bell bottoms aren't for everyone. Puppies and kittens aren't for everyone. It takes a lot of discipline to work for yourself. You don't have a manager or supervisor babysitting you and giving you deadlines and schedules, all that is up to you. Without the focus and dedication to do this, working for yourself may be downright disastrous for you. Others may have the discipline and drive necessary but elect to be leaders within an organization they work for instead of being the head leader of everything. You are not a sucka for that. That is called staying true to yourself. Just because you have it, doesn't mean that it's for you to do it as your own business. 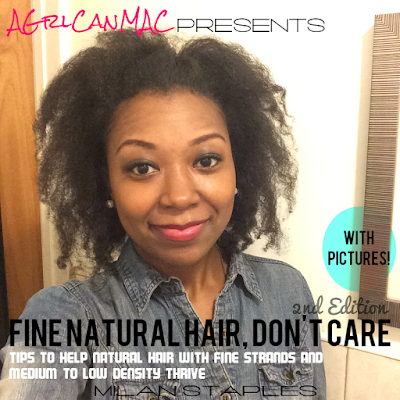 Youtube is flooded with natural hair vloggers. Some have left their day time jobs to do it full time and others do it for fun. We all have different functions and purposes in life that all tie into a larger whole. Identify what's fun and what's a profession for YOU. 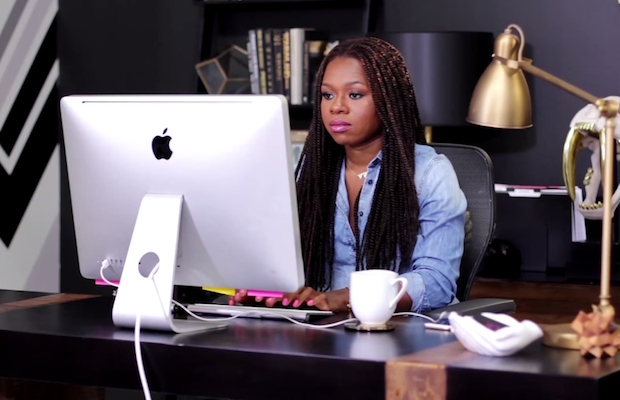 Myleik Teele, Founder and CEO of CurlBox is one of my entrepreneurial inspirations. So maybe you don't want to be your own boss full time. Another option is to start or have a lucrative part time business. Maybe you really enjoy your full time job but still want something that you own and affords you an additional stream of income. I have a full time job and own part time businesses in writing and freelance makeup artistry. I made the decision last year that I didn't want to do freelance makeup full time. I love makeup artistry and having a business out of it, I just don't want to do it full time. Instead, I'd grow it into a very lucrative part time business and it actively supplements my full time income. I'm so happy with my decision. There's more than one set of directions to get to a destination. Rather it's full time or part time, work for yourself because you possess the passion, discipline and drive to and you have a product or service that people have a desire or demand for. Don't do it because everyone else is doing it and it looks cool on Instagram. Would you jump off a bridge if everyone else did too? Sage words from your grandma but she knew what she was talking about. This isn't to dissuade people from having their own businesses, it's about being honest with yourself. You're not and you never will be any less than by working in a corporate setting. Just know what you want and what your intentions are. And it may take you some time to figure that out what you want and what your intentions are. It took me some time to figure out that I do in fact want to work for myself and commit to taking the steps to ensure this is my reality in the future. If your bliss includes pencils skirts and Skype conferences with clients in the board room, you go grl. If your bliss includes making money traveling the world doing consulting work while sun bathing in Nice, France, you go grl. In my eyes, you're a boss either way.